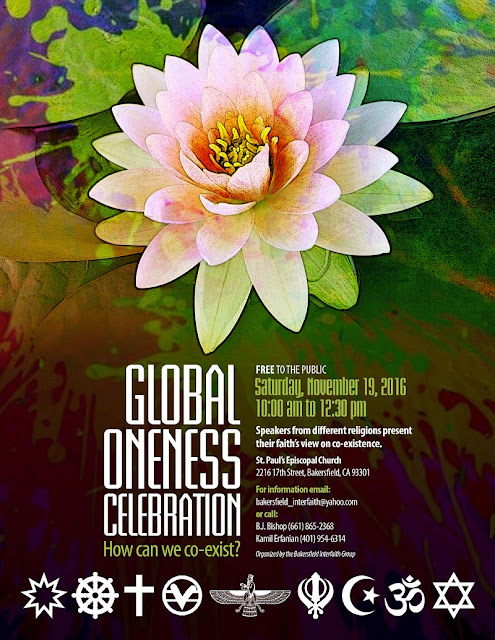 Gary Enns, Director of the Zen Fellowship will join a panel of speakers from various religions to present viewpoints on co-existence at the Global Oneness Celebration, Saturday, November 19, St. Paul's Episcopal Church. Here and Now Summer 2016 has arrived. 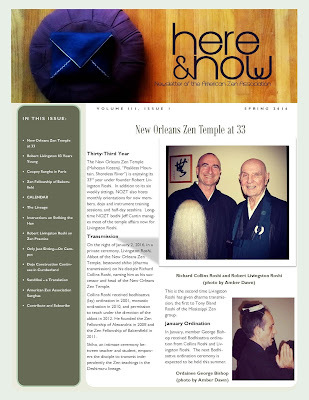 Click the link or image below to read and download this edition of the American Zen Association newsletter. On a fall Tuesday in September, I led a meditation workshop at Cerro Coso, the community college where I teach composition and literature. My campus is located in Lake Isabella, a small mountain town in the Kern River Valley, about forty-five minutes up a narrow canyon from Bakersfield. 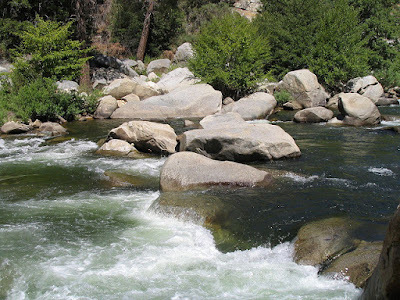 The serenity of the river here belies the hard life circumstances many of my students face. Some are fresh out of high school, wanting more than their tiny hometown can give; some are older in age, held in dysfunctional relationships and lacking support from home. Living in a small town can sometimes feel like living between a rock and a knife: hard to stay and find work, hard to leave family, connections, origins. Regardless of their backgrounds, all of my students are exploring, trying to figure out their next step in life. The day of the workshop I brought mats, sitting cushions, and a nice-sounding Japanese bowl gong. Truthfully, I didn't count on many takers. "Come sit still, be quiet, and breathe for twenty to thirty minutes." Maybe that's not as big a draw for others as it is for me. That said, I was happy to see eleven people walk through the door. In Room 6, with tables and chairs pushed back, we sat on cushions and talked about the purpose and benefits of daily practice, the cultivation of equanimity in the midst of life’s highs and lows. But most importantly, we practiced: posture, breath, and attitude of mind—what psychologist and meditation teacher Tim Burkett describes as “recognition, acceptance, restraint, and return” (134). We recognize and accept the habitual flow of thoughts and emotions which cover up the natural stillness within. We restrain from engaging with the monkey-mind and allowing it to lead us away yet again. We return to the posture, the breath, the here and now. 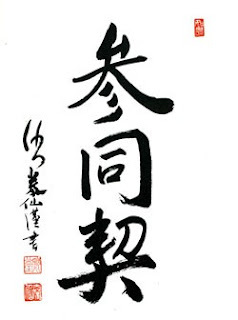 What was a loud Speech 101 classroom twenty minutes before was now a dojo—a practice space. No more fluorescent lights, chatter, speeches, or secret texting under desks. Just a row of still practitioners. The clock ticked for the first time, it seemed. How could it be so loud? Someone’s stride in the hallway outside shook the second-story floor. A foot twitched back and forth, and everyone felt the vibration through their cushions. In stillness the senses are laid bare, and the subtle, steady reality around you finally gets its chance to shine. You accept it as you accept your thoughts and emotions—you let it all just be. Finally, I struck the gong. We stretched our backs and legs, then talked about the experience. Kelly, owner of the twitchy foot, felt it was hard to sit still but that it was just what she needed. Abigail said her mind was totally calm. I said something about giving meditation a try for at least a month, about consistency. Then we said our thanks, pushed the tables and chairs back into place, and closed the door. Two days later, a few participants came up to me to share. The young mother Barbara and her husband who was recently laid off from the grocery store said they were making time in the mornings to sit. Then there was Abigail who said meditation was helping her get into the right frame of mind for a difficult math course. I was glad to hear that something in the practice resonated with them. For me, meditation has reshaped my experience with the present moment, and I believe in its power to do the same for others. In difficult times, the attitude of mind cultivated through practice helps place worry and anxiety into perspective. It's easier to deal with life issues, annoyances, trying family relationships, or stressful work and school obligations when you realize you’ve got the inner spaciousness to make room for them and all of the emotions they may evoke. Meditation tends to open you up, shift things around, and melt away the unnecessary parts of you you thought were essential. You’re still you in the here-and-now day-to-day sense, but somehow clarified, emptier, more spacious, more equanimous. 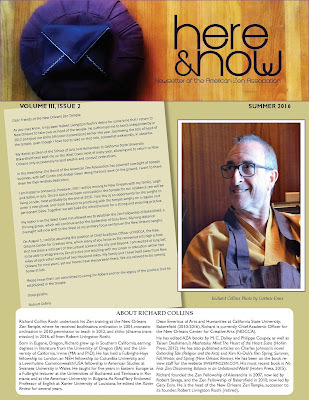 About this new you, Kodo Sawaki says, "Precisely that self which I haven’t thought up is who I really am.” The less you you think you know, the more space you have for everything else, and that's good for the people in your life, and for "you," whatever that may or may not be. Burkett, Tim. 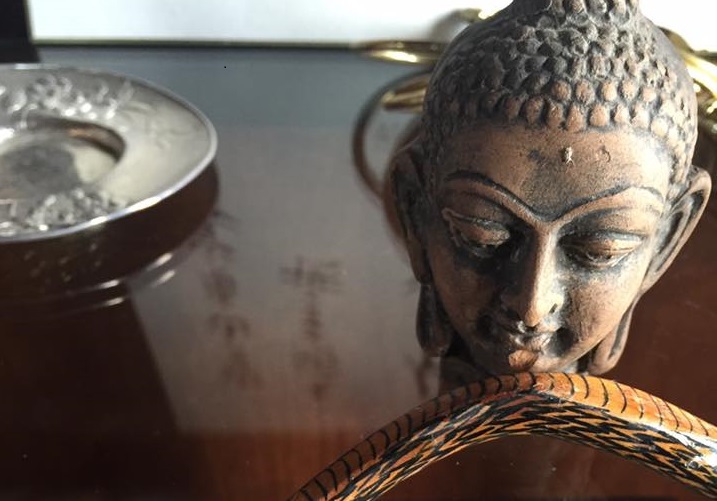 Nothing Holy About It: The Zen of Being Just Who You Are. Boston: Shambhala, 2015. Print. Sawaki, Kodo. To You. Trans. Jesse Haasch and Muhô. Antaiji.org. Antaiji, n.d. Web. 26 Sept. 2015.